Not too long ago Judgments were difficult to collect if you didn’t have prior knowledge of assets. If you knew where the debtor worked or knew the debtor owned a house, great. Otherwise, you couldn’t expect much back for the time and money you would have to put into litigating. Asset searches were expensive and, since time was what was paid for, the results were often disappointing. Private investigators were hired to follow somebody to their place of Employment. Sometimes it worked but more often the debtor worked a low paying job. You cannot garnish wages under $400 per week. No success but you still had to pay for the investigation. Every time a business had to pay for a search it lost money. Since most Judgments never were collected, the business had to subtract expenses from all the bad Judgments against the profits of the good Judgments. Expenses could get very high and it would make suit a questionable action. New technologies have changed all that. Now a list of all Judgments with all the details can easily be created on a spread sheet. Paid Judgments are easily removed and new Judgments are easily added. The list is sent through a bulk search engine which looks for employment, bank accounts and hard assets such as houses. Here is how the new search engines work. You can run the list frequently because there is only a charge if assets are located. In most cases a second search is unnecessary so you can take the Judgment off the list. One small charge and you are done. Not many assets are found with each run, but the search is done frequently throughout the course of the judgment. Assets are located quickly once they are reported. 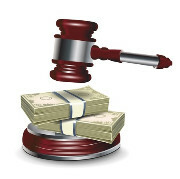 The result is a low cost, relatively accurate asset search that will usually get the Judgment paid. The results produce better financial returns at very low cost. That is a good combination. If you are sure you shouldn’t litigate because the debtor has terrible credit and the amount owed is small than don’t sue. Otherwise, the new search engines should find money at some point in the future. The odds have changed in your favor. Since you already have the Judgment, all you need to do is deposit the check.